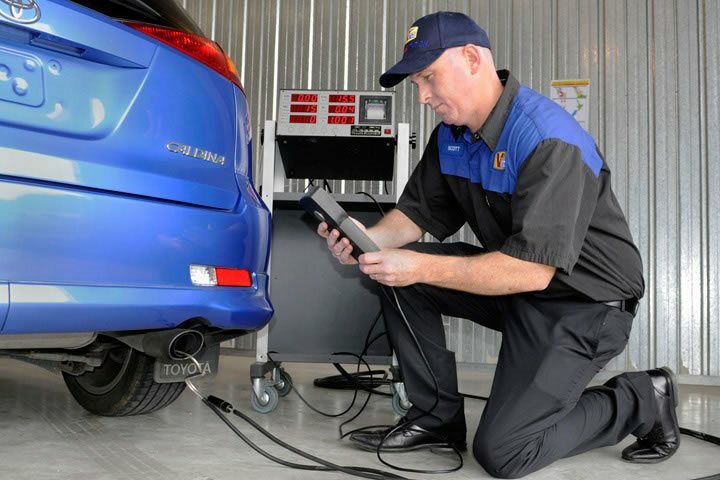 In Florida all vehicles must go through safety inspection once a year. Since 2000, this safety inspection does not include emissions inspection, or otherwise known as “smog” inspection. The following article will give you the basics of smog laws in Florida. While there are no smog checks in state of Florida, there are a couple of things worth considering which we’ll go over below. As mentioned, Florida residents no longer need to perform emissions testing for their vehicles. All smog testing laws have been abolished. Florida is a fairly large state with a long coastline, and rarely has a problem with smog. Even in densely populated cities like Miami, Tampa, Jaksonville, Tallahassee or Fort Lauderdale, smog is not an issue. Therefore to make vehicle safety inspections quicker and cheaper for all drivers, Florida no longer has any smog laws. Environmentally conscious residents may be disappointed by Florida’s lack of smog laws, but unlike our White House the state is not denying the impact of vehicle emissions to our environment. Florida encourages its drivers to purchase vehicles classified by EPA as ILEV (Inherently Low Emission Vehicles). Drivers with hybrids or other environmentally friendly vehicles are permitted to drive in High-Occupancy Vehicle lanes at all times regardless of number of passengers. Drivers however must apply to receive a windshield sticker. Application must be submitted to your local county Tax Collector’s office. Fee ranges from $5 for 1 year, or $10 for 2-year decal, with a $0.75 mailing fee. ILEV/Hybrid vehicles – list of vehicle which qualify for ILEV certification and can receive unrestricted HOV carpool lane access. Owners of hybrids, electric cars of biodiesel vehicles may also be eligible for tax credits through federal government. Although Florida does not check for smog emissions, tampering with air pollution control device in vehicles is not permitted. Section 316.2935 of Florida Statutes prohibits any dismantling, removal, or rendering ineffective any air pollution control device or system which has been installed by manufacturer. Furthermore gas-powered vehicles must not emit visible emissions from exhaust for more than 5 continuous seconds. Diesel powered vehicles must not emit visible emissions longer than 5 seconds except while accelerating, lugging, or decelerating. More information on these regulations is available in Florida Statutes, Title XXIII – Motor Vehicles, Chapter 316, Section 316.2935 – Air pollution control equipment. Please note we only provide this information about vehicle emissions for informational purposes. You should always double-check current official Florida laws and regulations to ensure this information is correct. This article about Florida Emissions Inspection & Smog Laws was last updated in 2019. If any of our information is incomplete or outdated please let us know. Thank you!